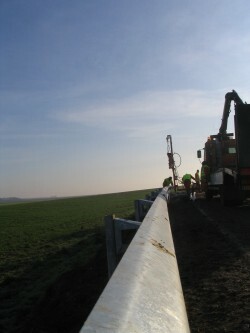 The PAJOT guardrail post pile drivers are ideal for guard rail post installations and offer a robust and durable solution with low operating costs. 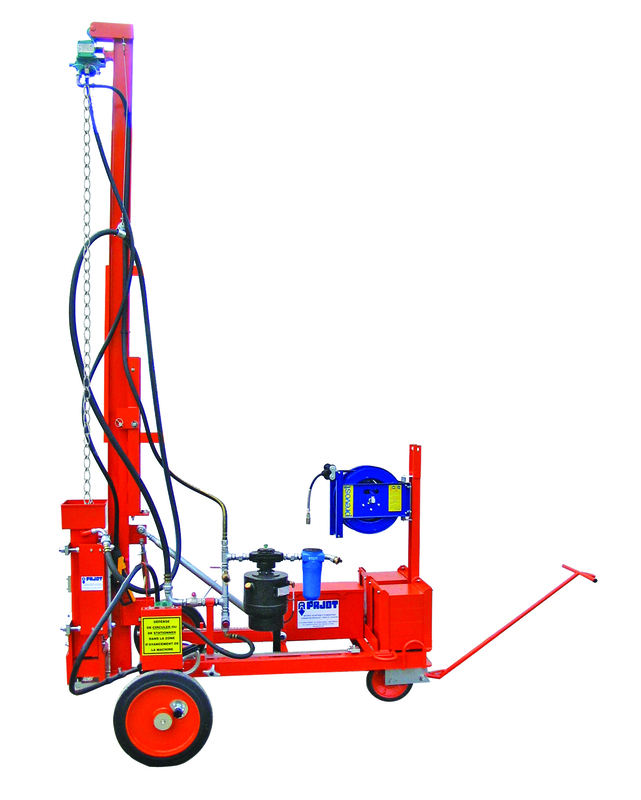 The machines are compact (folding mast) and lightweight making them easy to transport to the site. 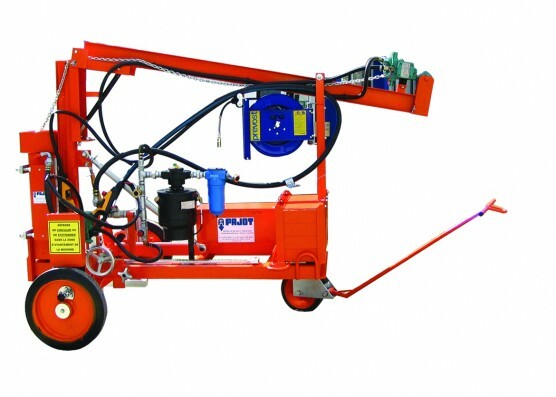 They can be fitted with a PAJOT 115, 160 or 300 kg impact hammer and only require a 2200 to 3500 liter compressor pulled by the pile driver to power them. Robust and durable solution delivering low operating costs. 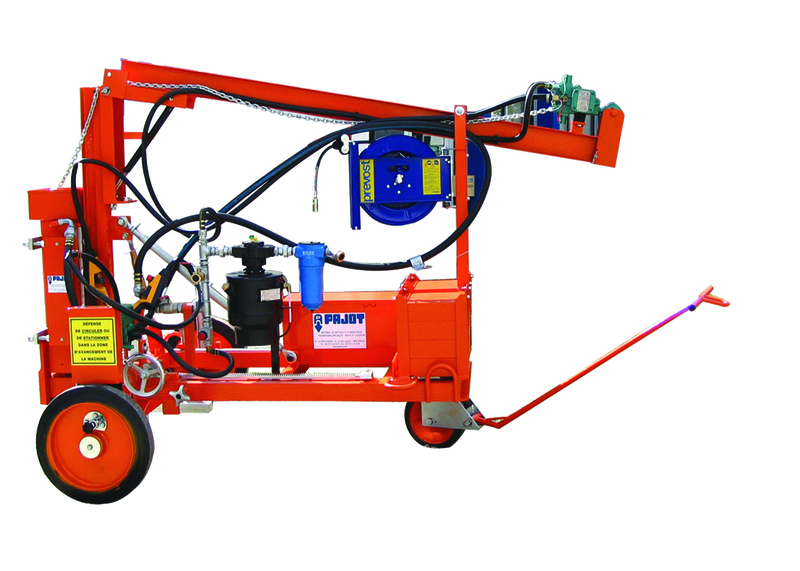 This machine is compact (folding mast) and lightweight making it easy to transport to the site. Articulated mast with gas jack system for effortless single person raising.